Will Germany recreate its magic this year? Will Lionel Messi take Argentina to victory? Will Cristiano Ronaldo finally lift the cup for Portugal? A report by Goldman Sachs zeroes in on this team to win the FIFA World Cup 2018. Football is a wonderfully unpredictable sport. Uncertainty is one of its charms, that also keeps audiences at the edge of their seats for at least 90 minutes. But American MNC Goldman Sachs has forecasted the winner of the 2018 FIFA World Cup that starts on Thursday. Goldman Sachs arrived at the answer by firing up machine learning to run 2,00,000 models, mining team data and individual player attributes that enabled them to project specific match scores. Following that, they simulated 1 million variations - take that, Dr Strange - of the tournament and calculated the probability of win for each team. 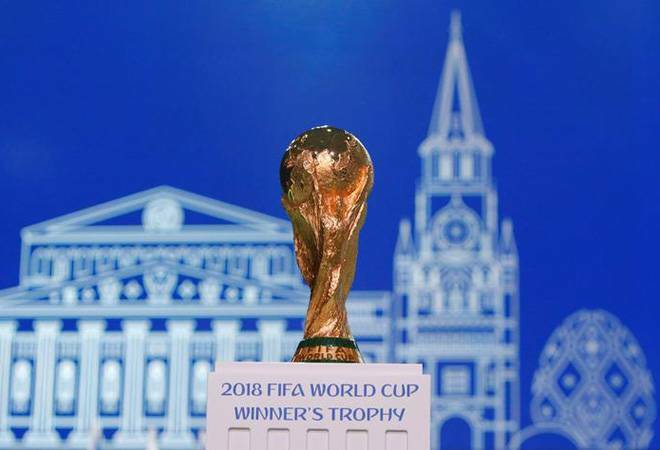 Goldman predicts that the quarter-final matches would be played between France and Spain, Brazil and Belgium, Portugal and Argentina, and Germany and England. From thereon, winners of the matches - France and Brazil, and Portugal and Germany - would face off in the semi-finals. The final, Goldman Sachs predicts - and would be a highly charged game, if true - would be played between former winner, Germany and Brazil. Brazil is expected to win the match to lift their sixth World Cup. According to Goldman Sachs, France has better chances, overall, of winning the cup than Germany but its semi-final match with Brazil is likely to dash all its hopes. Spain and Argentina are predicted to underperform and lose in the quarter-finals. Fans of the sport would know that anything could change anytime during the tournament. Hence the authors added this disclaimer in the end: "But the forecasts remain highly uncertain, even with the fanciest statistical techniques, simply because football is quite an unpredictable game. This is, of course, precisely why the World Cup will be so exciting to watch." Should the teams pay heed to the report and buck up or take this prediction with a pinch of salt? Well, you'll only have to wait a couple of days to find out.